Reading and share top 1 JR Withers famous quotes and sayings. 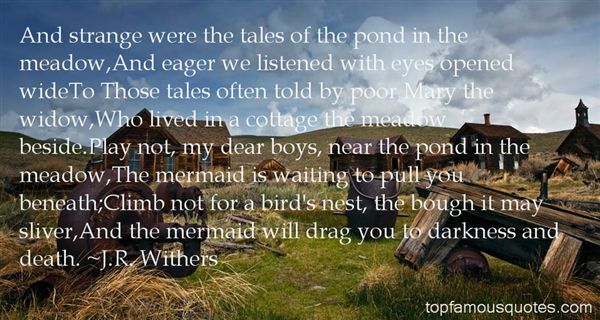 Browse top 1 most favorite famous quotes and sayings by JR Withers. The man was an enigma. One minute he was looking at her as though he wouldkiss her senseless, the next he refused to even talk to her, much less look at her."